﻿I’ve heard a LOT about this series. Mostly good things. I’ve actually not listened to the latest TMI/Jace book because Jace has disappointed me in the last two books. But after these, I think I will give it ago. Now back to business. This book moves kinda slow but not really. It’s kinda dull but interesting. All in all it was an okay read better than a lot of things I’ve read recently. Enough so I am intrigued to continue on. Will had a very Jace feel to me. Brooding and always pushing someone away for their own good. I kind of wish she would have chosen different characteristic. This storyline is almost “used up” in YA. Jem was refreshing. He was kind and sweet but not in the syrupy way that makes you gag. I actually really enjoyed him. Oh, Tessa. She was okay. Nothing exciting but she had a backbone and didn’t whine. Jennifer Ehle did a decent job with this one. Her accents were spot on but at times she sounded a bit older than the book “feel”. Still, I was definitely pulled back in time with her inflections and overall voice. Good job. Overall, it was a good read. I don’t regret and will push on. 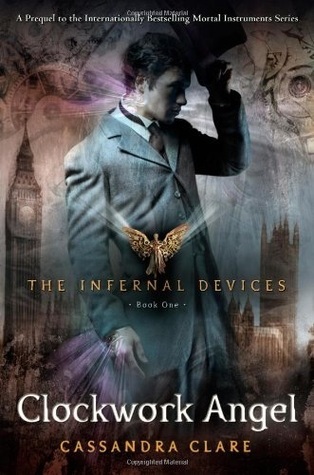 I am obviously routing for Will ;) but I love Jem too - I really like this series too! Next book, I'm rooting for Will. But honestly this book was all about Jem for me. Thanks. I did like the next book better as well. Be Apart of the Solution, Don't Pirate eBooks!